Earlier in 2017, Richmond planned on regulating and licensing short-term rentals but opposition from residents led to a larger ban instead. Richmond is one step closer to cracking down on short term rentals like Airbnb. By the end of the month, residents won't be allowed to rent out an entire dwelling for 30 days or less and short term rentals of suites, coach houses or laneway houses won't be allowed. Only a single room in a home can be rented to a maximum of two people at a time. Mayor Malcolm Brodie said council had to address residents' concerns about the growing number of short term rentals in the city. "With the short term rentals you have people coming and going, strangers in the neighbourhood, people coming and going at all times of night and day," he said. "You've got pressure on the utilities. You've got parking issues and it's really affecting the neighbourhoods." 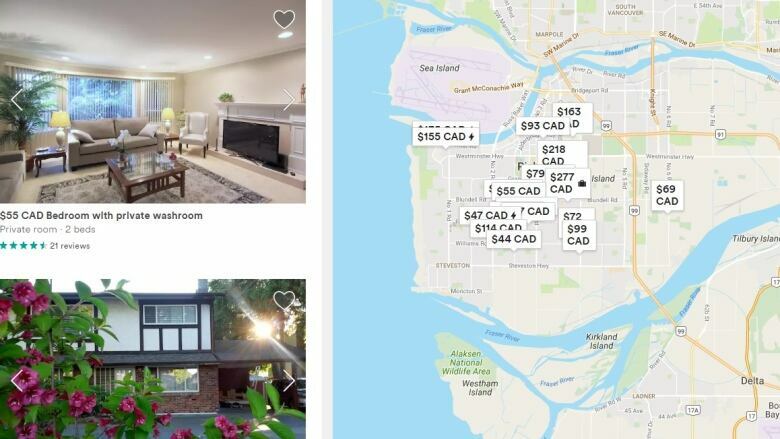 Brodie speculates the approximately 1,500 web based rental listings for Richmond are just a fraction of what's actually being offered for short term stays. Violators of the beefed-up bylaw will be fined $1,000 per day per offence. Earlier in 2017, Richmond planned on regulating and licensing short-term rentals following staff recommendations such a plan would be more practical than a ban. A staff report proposed short-term rental operators acquire a business licence, be a primary resident of the home, not have more than six renters and comply with fire and building regulations. However, council unanimously voted against the recommendations in the face of opposition from the public. Staff received about 100 complaints in 2016 from residents about noise, traffic and land-use violations.